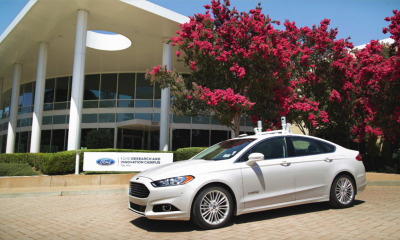 Ford is at the forefront of technological advancements. The company’s willingness to take risks and invest in new designs and technologies for its consumers is not only commendable; it’s the future of transportation. Today, Bartow Ford wants to discuss a few of the ways Ford Motor Company shows you the future for cars and trucks… today. Ford owners may already be familiar with the world-class navigation and infotainment system in their vehicles, the SYNC3. It’s capable of helping you get from point A to point B, with plenty of stops along the way, but now Ford is exploring new options for the future. They’re heavily focused on voice-controlled features, like being able to ask complicated questions and receive useful answers. Their current integration with Apple CarPlay and Android Auto already lets you explore some of these features. Steering assistance also plays a significant role, helping you stay in your lane and park in tight spots with ease. Ford has created an app, Ford Pass, that offers a service called Remote Access, which allows you to perform some essential functions through your phone that would otherwise require you to be close your vehicle. With this service, you can start, lock, unlock, and locate your vehicle if you park and forget where it is. There are even optional security features to notify you of any tampering. As far as electronic options, Ford vehicles can be decked out with the best options on the market, such as power and heated seats and electronic rear-cab windows. Perhaps the most exciting advancement in car technology is the ability to own a self-driving car. Ford is now pairing up with Lyft, a ride-sharing taxi service, to gather immense amounts of data. This information will help software developers and engineers build an intelligent system of self-driving vehicles that can be summoned by consumers whenever they need a ride. The consumer usability of these technologies is still unknown, but Ford is leading the pack and helping direct the movement. 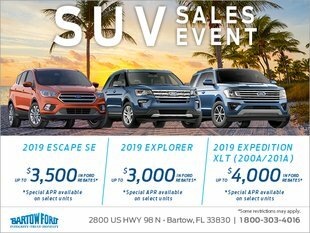 For more information on how Ford vehicles are helping you find new ways to move, contact Bartow Ford. Bartow Ford has been servicing Ford Winter Haven vehicles for more than 60 years. We’re conveniently located on 2800 US HWY 98 North and are open Monday through Saturday. We'd love the opportunity to prove to you we're different from our competitors. Don't go the wrong way, let us be your dealership of choice to service your vehicle or perhaps purchase a new one! Have additional questions? Give us a call at 1-800-303-4016 or contact us by sending us a message online.